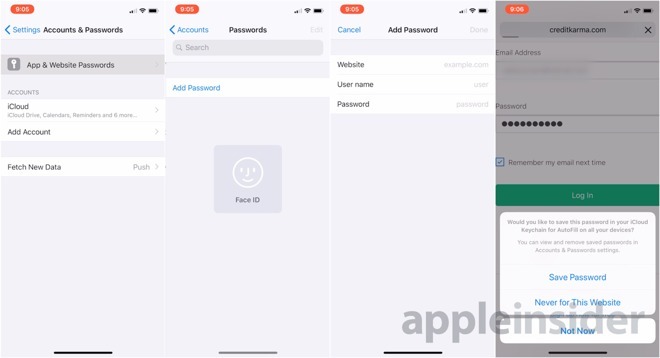 On the iPhone X, you'll periodically see the Face ID authentication graphic, in place of where you may have entered your passcode. To turn on iCloud Keychain, tap on your user name at the top of the Settings menu, and tap iCloud. 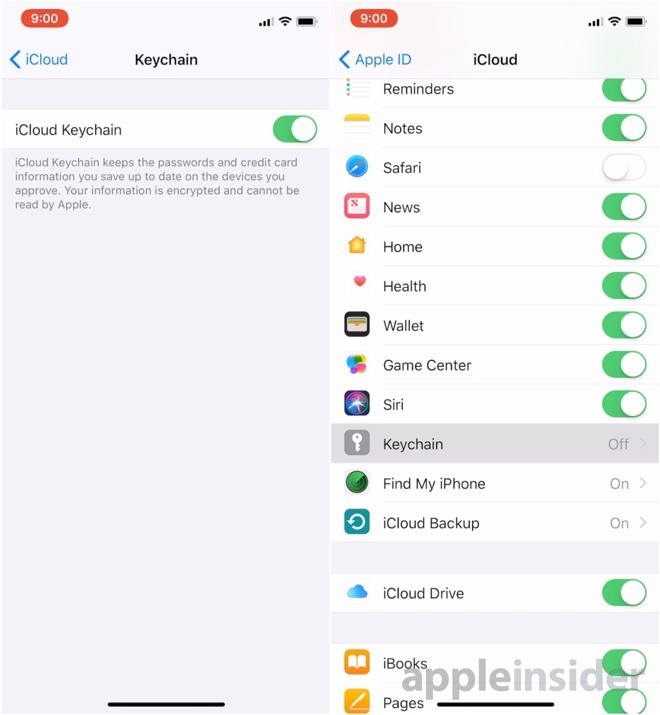 Scroll down to Keychain, and turn on the iCloud Keychain. 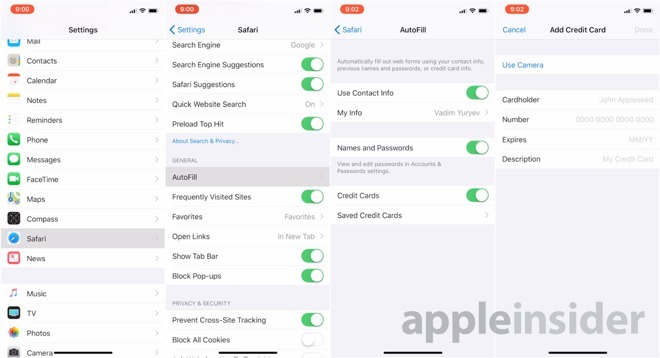 Back in the Settings menu, scroll down and tap on Safari. Select Use Contact Info, Names and Passwords, and Credit Cards if so desired. Following that, if you already have of passwords stored for websites on other devices, they should sync nearly immediately. 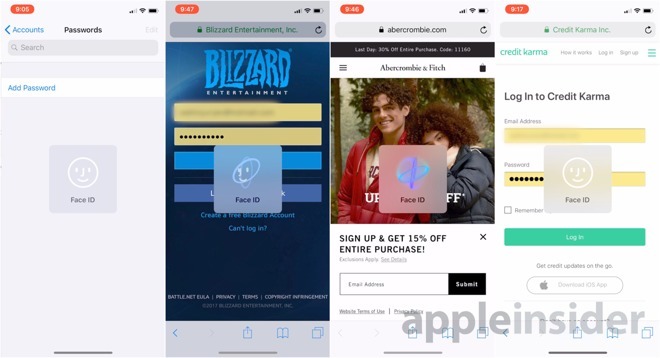 If not, you can either enter them one at a time in Accounts & Passwords, or you can navigate to the website, and Safari will ask you if you want to save the passwords in the Keychain with every new website you visit.